If you are looking for the best computerized embroidery sewing machine and want to be able to do more than just beginner projects, the Brother SE400 might be the right sewing machine for you. This machine has many features that you will want to look at to know if it can help you with your sewing machine needs just how the other Brother embroidery machines. The aspect that first attracted me to this machine was that it is both an embroidery machine as well as computerized sewing machine. What this means is that it can be used for just about any task you have in mind. Whether you are looking to monogram towels for a friend’s wedding or working on a quilt, this can help you get the results you are looking for. This is a sewing machine for embroidery that is computerized and well equipped with amazing features such as an impressive 67 different stitches that are programmed into the machine. With this, you can also adjust the height and length of each stitch. You can even mirror the stitch, have it go in multiple directions or double the stitch. This is perfect for people who feel like they do not have the stitches they need. Some of the most popular stitches on the machine are the one step button hole, zigzag and applique. There are even 70 embroidery patterns programmed into the machine already. Some of these patterns include birds, roses and various plants. The interesting thing about this is that you can hook it up to the computer via the USB cord that comes with the machine to keep it up to date and download different patterns. The embroidery hoop on the unit is 4″ x 4″ which is a decent size for most projects, especially monogramming. This sewing machine also comes with 8 different pressure feet as well. These can be used for buttons, zig zags and more. This can help keep you from spending additional money on accessories for the unit. This sewing machine may be one of the easiest to use sewing machines if you are good with electronics. The touch screen LCD display makes it easier for you to get the precise stitch you are looking for. There is a backlight on the LCD screen makes it easy to see. This is even a great beginner sewing machine for people who are new to sewing or embroidery as you do not have to baby sit the machine. If you are not good with electronics, you may find that you have issues with this machine. You will also need to be careful about the repair shop you take it to as not all will be able to repair computerized machines. There are a few other features you will find with this machine that are worth noting. It has an automatic threader so you do not have to waste time threading. These features will help to give a seamless look to your piece. Since it is computerized, it will do all the work while you just watch. Many people who multitask find this to be a great option. It is even a very cheap embroidery sewing machine that is competitively priced for a computerized sewing machine. You will get a 25 year limited warranty on the sewing machine. This will help you in the event that there is an issue with the computer or even the different parts of the machine. Along with the sewing machine, you will also receive 8 pressure feet. It will come with a soft cover to help keep it from the elements so it does not get damaged. You will also get the tool case that has the needed tools for simple repairs and cleaning of the machine. With this you will also receive the embroidery arm and hoop for your projects. There are many different accessories available for the SE400. What you get will really depend on what your need is for the machine. You can go with a larger hoop if you want larger embroidery options. Many people buy additional stabilizers and bobbins for the machine. You may want to get additional pressure feet for the machine as well. A common factor that people like is that the sewing machine is computerized. For the cost, this is a great value. It can allow you to create things you would not normally be able to do on your own as you can download patterns from the internet that will be precise. The computer in the machine helps to cut down the workload that you have to do with the machine, from the preparation to handling the machine. People also like that they can connect the machine to the computer to keep it up to date. This is cool feature because you will find all the latest designs,stitches and other updates that Brother releases. You can also customize your machine by downloading the different patterns, which many people enjoy. You can find all sorts of different patterns, such as characters from shows and games. 1. The major complaint many people had was that the machine tends to break needles easily. While it may break needles more than what you would expect, by using the correct size and tension you can help to reduce the number of needles that you go through. 2. Another common complaint with this machine is that embroidery hoop is too small. While it may be good for many projects, there are still some this just will not be feasible for. The thing to keep in mind is that you do not have to use the hoop that comes with the machine. You can buy a larger hoop and use this. The Brother SE400 is part of the new generation of sewing machines on the market. They can help to make your life easier when it comes to using the sewing machine. However, if you are used to using an older model that is not computerized, you may find this to be frustrating at first. The tension is one aspect that is completely different from other models and can take some time to adjust to. Overall, if you want to go with a machine that will give you embroidery designs and is computer operated without spending a ton of money, this may be the right unit for you. It is versatile, lightweight and easy to transport. 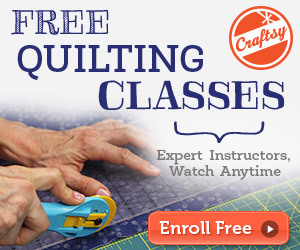 Whether you are a beginner with a sewing machine or a professional, it can be of great help. 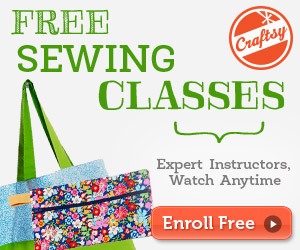 Learn How to Sew: Stitches, Stitches Everywhere, and So Many to Choose From! Learn How To Sew: What Do You Need in Your Sewing Box? Sewing Made Simple is a participant in the Amazon Services LLC Associates Program, an affiliate advertising program designed to provide a means for sites to earn advertising fees by advertising and linking to (“your website name” (amazon.com, or endless.com, MYHABIT.com, SmallParts.com, or AmazonWireless.com). We are also a member of Etsy affiliate program (and similar programs with other vendors). If we link to a product from the site, please assume it is an affiliate link (though in some rare cases, it won’t always be). We get a percentage of the sales price for our passive income endeavor. Some of the product images we use are from Amazon and respective manufacturers. New to Our Site? Start Here!